The importance of concrete can’t be overstated. It is the most widely used man-made material on the planet. Cement is not used on its own. When it’s mixed with fine filler you get mortar for masonry. When it’s mixed with coarse sand and gravel you get concrete. Another key piece of the equation is water. The amount of water you use determines the strength of the aggregate. “Low water to cement ratio leads to high strength but low workability. High water to cement ratio leads to low strength, but good workability.” It can be further strengthened by adding rebar – reinforcing steel bars. Concrete is strong enough to bear the heavy load of a skyscraper without compressing. It can resist the pressure of water behind a dam. It can support thousands of cars, trucks, and busses on a bridge. There is a reason that concrete structures from the Roman Empire still exist. Concrete can also deteriorate. In places like Wisconsin, where the temperatures drop below freezing every year, water from snow and rain can penetrate its surface. The water expands about 9% in volume as it freezes. When it melts during warmer weather it causes the material to weaken over time. 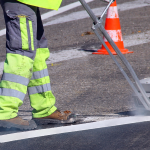 Concrete also deteriorates when exposed to certain chemicals such as acids which are present in spills, or salts and alkalis which are used to treat driving surfaces in winter. At Wahlen Works, we know concrete. We understand it’s properties and we know how to preserve it. The surface needs regular washing to remove acids, salts, and alkalis. It needs to be sealed once every five years or so. We are ready to bring our expertise to your unique property challenges and save you money over the long-term. The first concrete street in America was built in Bellefontaine, Ohio in 1891. The heaviest concrete structure in the world today is the Three Gorges Dam in China, which opened in 2003. It weighs 144,309,356,753.51 pounds. In 1819, the first known parking garage was built for the Hotel La Salle in Chicago. The Pantheon in Rome has the world’s largest unreinforced concrete dome. In the modern world, only water is used more than concrete. According to Greg Neiderer, Principal and Director of Restoration for Walker Consultants, a leading parking consultant in the United States, “Some parking facility owners and operators believe that as long as their structures continue to serve the public, few maintenance-related tasks need to be performed. Nothing could be further from the truth.” In a case study of three Pennsylvania garages, Neiderer shows that the one with the most comprehensive maintenance history had the lowest cost per space per year. Proper parking structure maintenance reduces premature deterioration and future operating costs. 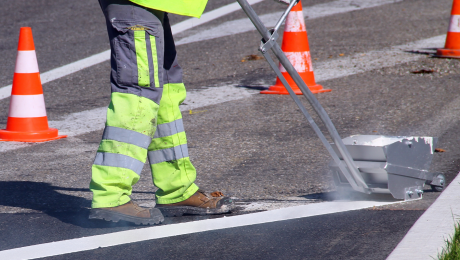 An important part of this ongoing maintenance is the cleaning and washing of concrete surfaces. Concrete is a porous surface that can absorb oil and other liquids like a sponge. Chloride contamination caused by deicing salt contributes to deterioration of the concrete as well. These substances need to be removed regularly. 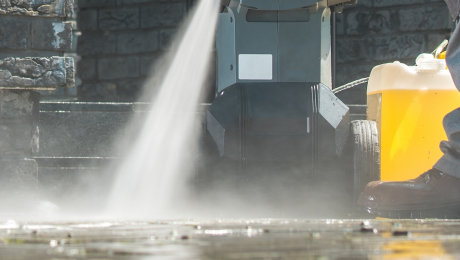 Professional pressure washing produces a deep, uniform clean that is both cost-effective and aesthetically pleasing. 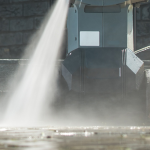 At Wahlen Works we specialize in full-service commercial pressure washing for businesses that have high standards of property maintenance and cleanliness. 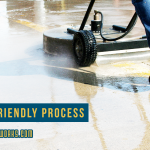 We accomplish this with a thorough, detailed four-step cleaning process that consistently provides superior pressure washing results. First, we thoroughly go over the entire facility with pre-treating chemicals which are all biodegradable. 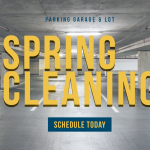 We treat oil spots, beverage stains, and other dirt deposits. 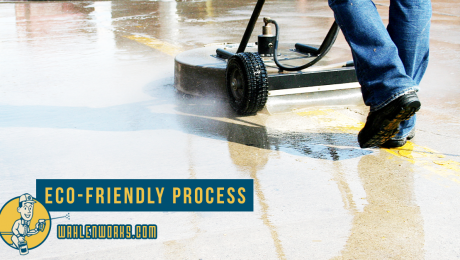 Second, we apply phosphate free, professional grade detergents to the entire surface of the garage. Third, we detail every square inch with a high pressure nozzle, providing a deep clean to lift out all of the dirt. In contrast to the surface cleaning used by some other companies, this is a close application to blast all the dirt out. Fourth, we drain the waste water. We use polypropylene filters over the drains which pull oil from the water and prevent debris from washing into the sewage system. At the end, we pick up everything and dispose of it properly. If your property requires waste water recovery, we provide that service at this time. 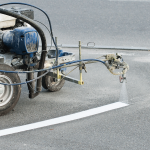 When you hire Wahlen Works, you are investing in the longevity and appearance of your property. In addition to reducing overall operating costs, your facility will look better and make a better impression on visitors. 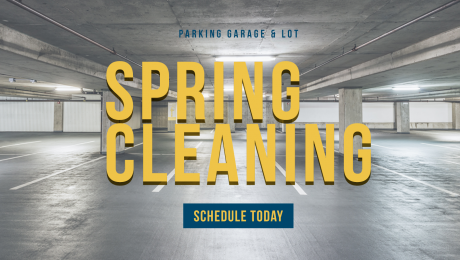 Contact us today to get a quote on pressure washing services for your parking structure.